Bohinjsko jezero je za nosečnice odlična lokacija za fotografije. Ne glede na zunanje temperature, je jezero te dni prijetno toplo, a še vedno dovolj hladno, da ob preveliki vročini stopimo vanj in si ohladimo podplate. 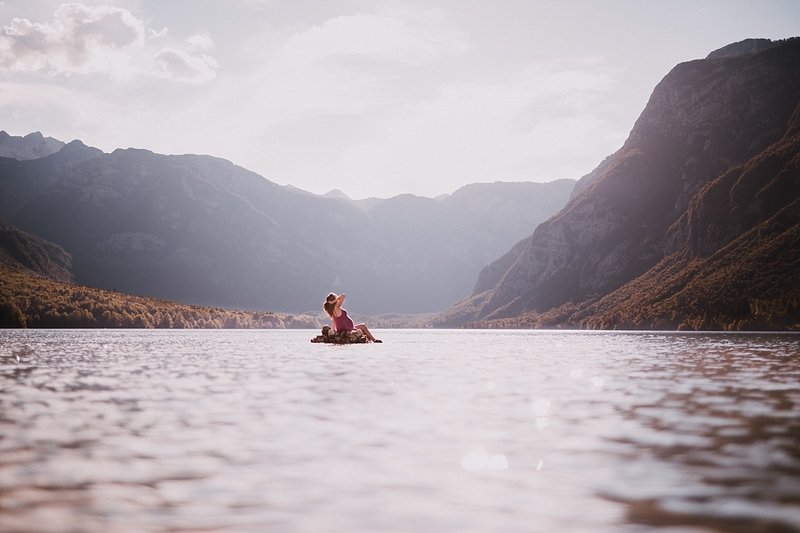 Lake Bohinj is a perfect place for maternity photos. No matter the outside temperatures, the lake is warm enough for a swim, but still chilly enough to cool yourself down when needed. Like with Silva and Borut, Viktorija in Tomaž are also return couple. They got in contact with me year after their wedding and asked me to photograph another important event of their life. I keep Tomaž in my memory as one of the funniest grooms, who has awesome sense of humour. Me and Viki are always laughing out loud that makes my abs hurt.